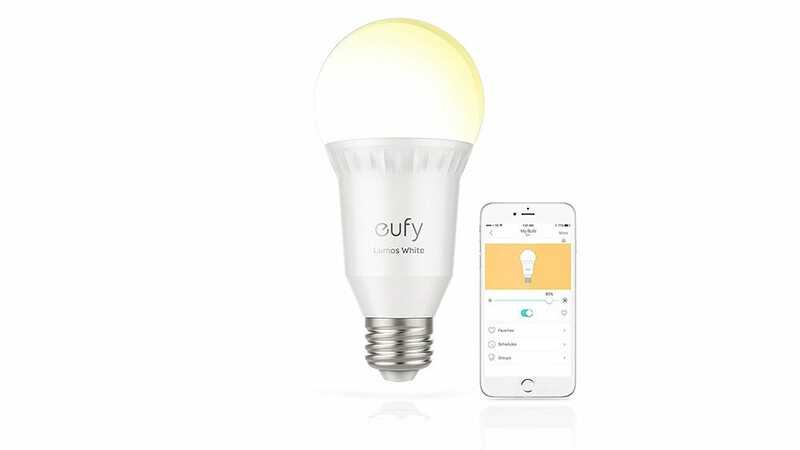 If you’re a big fan of Anker’s products, then you’ll enjoy the Lumos line of smart bulbs from Eufy, a subsidiary of Anker. These bulbs connect directly to your Wi-Fi network, so no separate hub is required to manage the bulbs. 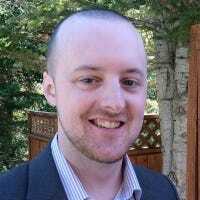 Plus, they’re really easy to set up, thanks to the user-friendly Eufy app. You can get a basic dimmable white bulb for $13, which is both cheaper than the basic Hue bulbs and doesn’t require a hub. For $20, you can upgrade to their “Tunable White” model, which allows you to tweak the white balance from warm white to cool white and everything in between. If you already have a smarthome hub like the Wink Hub or SmartThings (or any other hub that supports Z-Wave), you grab yourself some GoControl Z-Wave bulbs ($17). 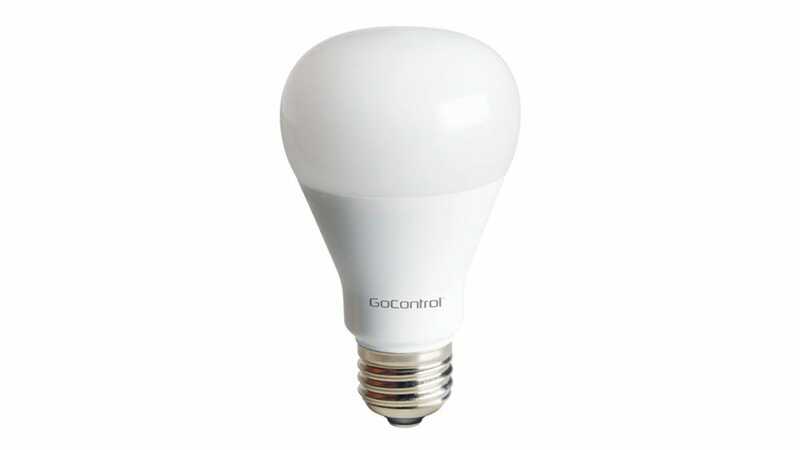 These are basic dimmable white bulbs, and GoControl is one of my go-to brands for pretty much any Z-Wave device, whether I’m shopping for a bulb, door sensor, motion sensor, or other smart home accessories. Because they’re Z-Wave, though, they can’t connect directly to your Wi-Fi network—Z-wave accessories require a hub. 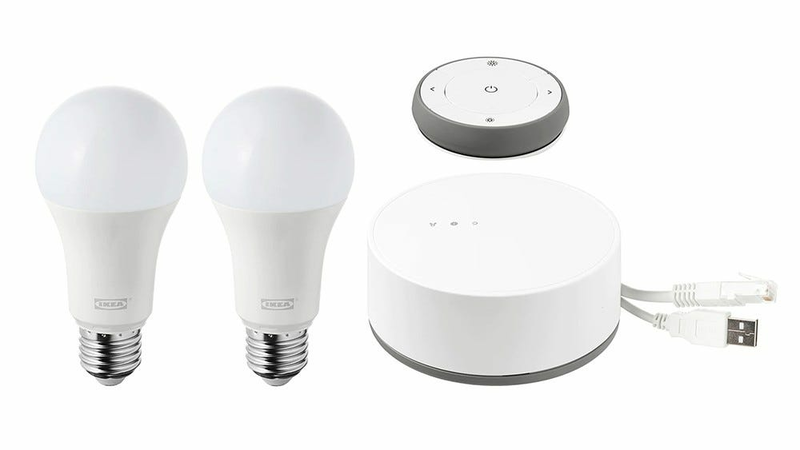 If one of your smart lighting goals is to avoid a hub, that means these get a hard pass. However, they’re a great option if you have Z-Wave hub already for other devices in your home and you want to get into smart lighting on a budget. If you still like the idea of a hub-based smart light system, but don’t want to be tied to only Philips Hue’s system, Ikea’s relatively-new smart lighting platform Tradfri is a solid option. You can grab a basic starter kit with two bulbs for $80, but what makes Tradfri even more appealing is the variety, including remote controls, motion sensors, different bulbs, and unique light fixtures. You can’t add in third-party bulbs, but the offerings from IKEA are, in IKEA fashion, really inexpensive. Better yet, Tradfri bulbs work with the Philips Hue Bridge hub, so even if you are a Hue user, you can still use Tradfri bulbs if you wish. 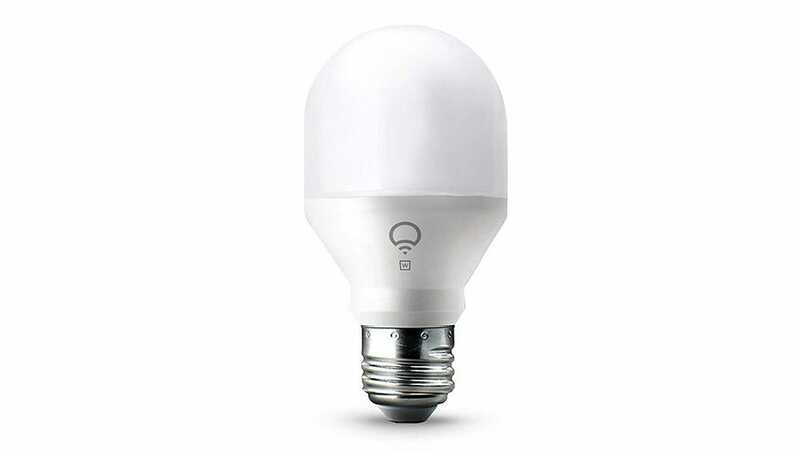 One of the most popular smart light brands other than Philips Hue is LIFX, which makes Wi-Fi-based smart light bulbs. 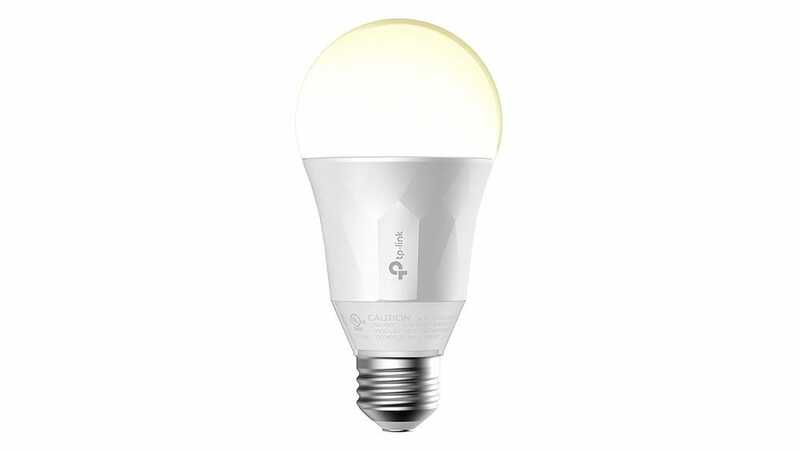 The cheapest LIFX bulb is the recently introduced Mini White ($20). If you crave the color effects offered by premium Hue bulbs you’ll pay extra for the color-changing LIFX bulbs, which run ~$48 each. Perhaps the best feature of LIFX bulbs is that they work with Apple’s HomeKit platform, which is still rare for a lot of smarthome devices these days. And of course, they also work with Alexa and Google Assistant if voice control is your thing. 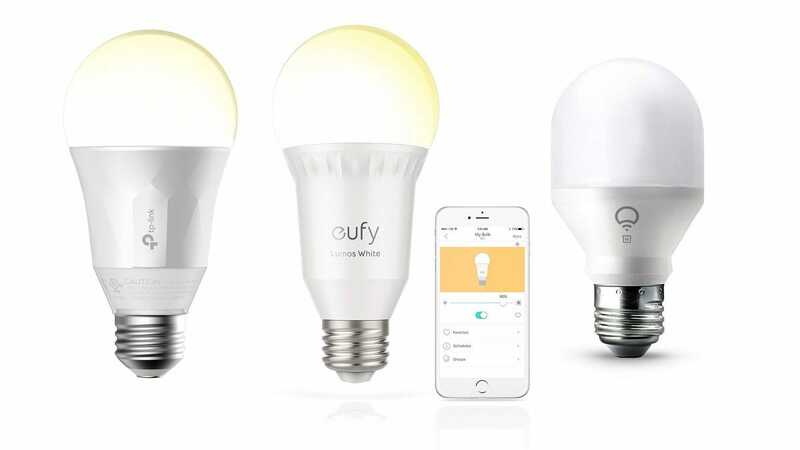 Their soft white dimmable bulb is priced at $20 and connects directly to your Wi-Fi network, just like LIFX or Eufy Lumos bulbs. Plus, it also works with Alexa and Google Assistant. While well made they don’t stand out from the crowd in any major way other than the Kasa app integration—if you’re already other Kasa products, using these bulbs cuts down on the number of apps you need. Controlling the lights in your house using your voice is a great way to dip your toes into the smarthome world. And if you already have a Google Home, here are some of the best smart light switches to buy that are compatible with the smart speaker.